During a rather strenuous day strolling around the quieter side streets of Marylebone, amongst all the usual coffee competition, Sarah spotted this fantastic intimate coffee bar on Wigmore Street. 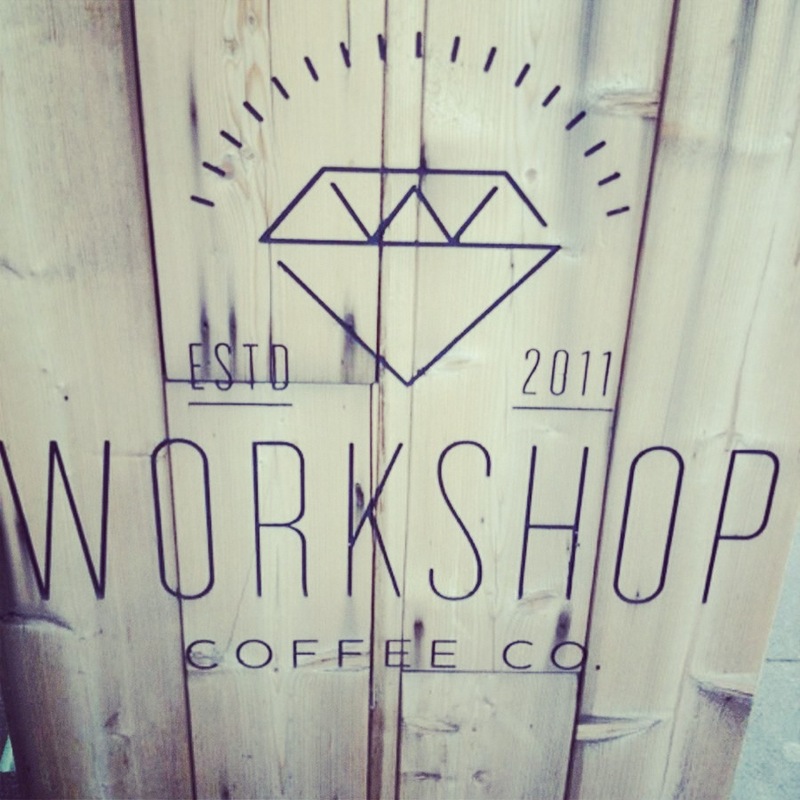 The Workshop Coffee Co was a buzz of excitement and energy, fuelled further by the intense aroma of the coffee they served. Here Workshop Coffee offer no delusions of grandeur or fake majesty that you might find in some of the chain coffee houses, the emphasis here is on great coffee in a simple enjoyable environment. 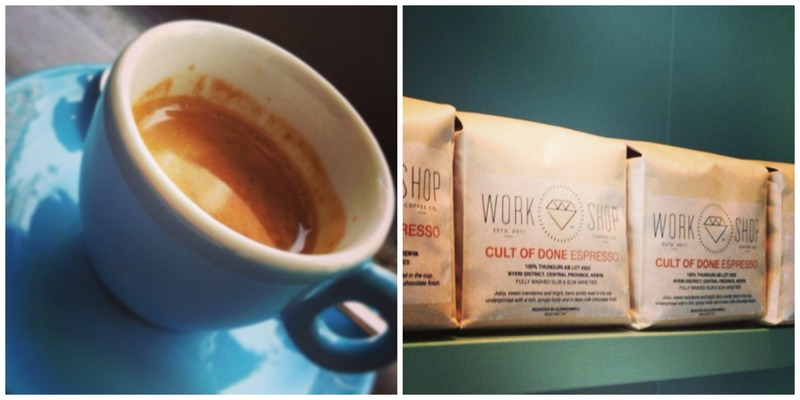 Workshop Coffee Co use their own ‘Cult of Done Espresso Beans’, updated to include their latest offering from El Savador. This unique blend offers “aromas of currants and toasted almond lead to flavours of juicy cherry and chocolate. A weighty and rich body underpins”. 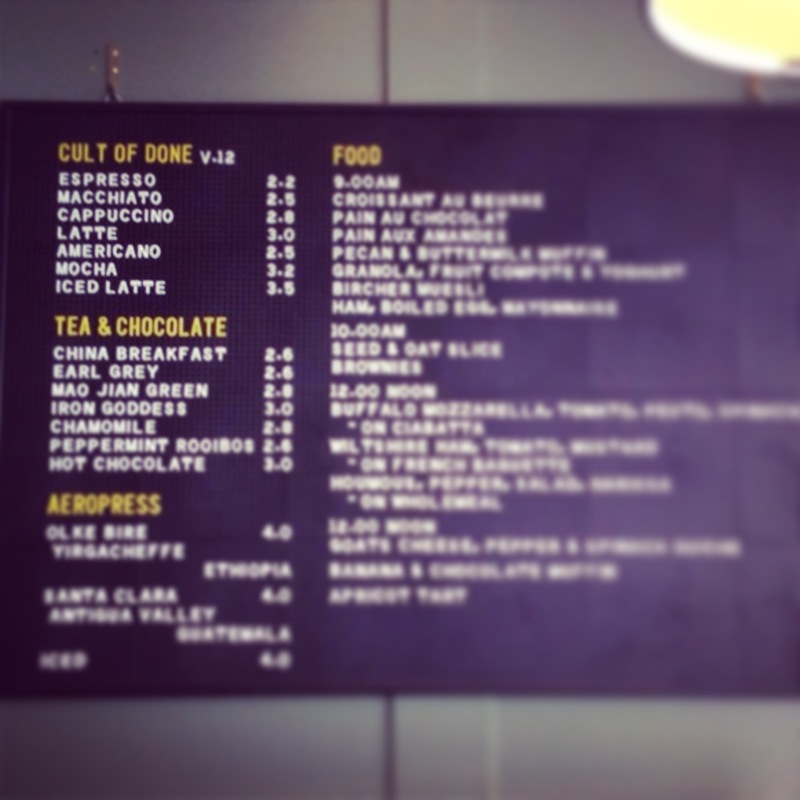 To do this coffee justice, I would simplify this description to one humble word; Yummy! The barista was friendly and lighthearted, humour is a heavy focus of this coffee experience and the light touch was appreciated. An offer of both still and sparkling water with the espresso was unexpected. I would personally advise against the sparkling water as the taste of sulpher does interfere with the quality taste of the espresso. Whilst we didn’t have anything to eat, there was a small range of snacks and food on offer for lunch. Whilst the menu looked simple, the emphasis was on quality local ingredients.